On the last day of September the Wirksworth & District Tramway Ltd's vehicle peeks out in the sunshine. The Class 25 is seen at the head of the year's last Dining Train which has achieved an enviable reputation for very high standards of service and presentation. The final regular Thursday of the 2016 season already saw an average day on the trains. That's not to say it was bad, it was just average. It was boosted by a primary school visit too. Down the yard, a start was made on the A examination on 55006 as well as positioning some vehicles for the weekend. It is the final dining train tomorrow evening too so the coaches were watered for that. A delivery of materials was made to Duffield for the interior of the new Booking Office as the push continues to get that fitted out. The Tourist Information guy came with his leaflet rack and stocked it up too so that's there now already. Today was the Funeral of our colleague John Evans, our Training and Safety Manager, who sadly died suddenly on Thursday 15th September. The service held at Chesterfield Crematorium was attended by family, friends and many of his railway colleagues and uniformed railway personnel provided a Guard of Honour at the crematorium entrance. 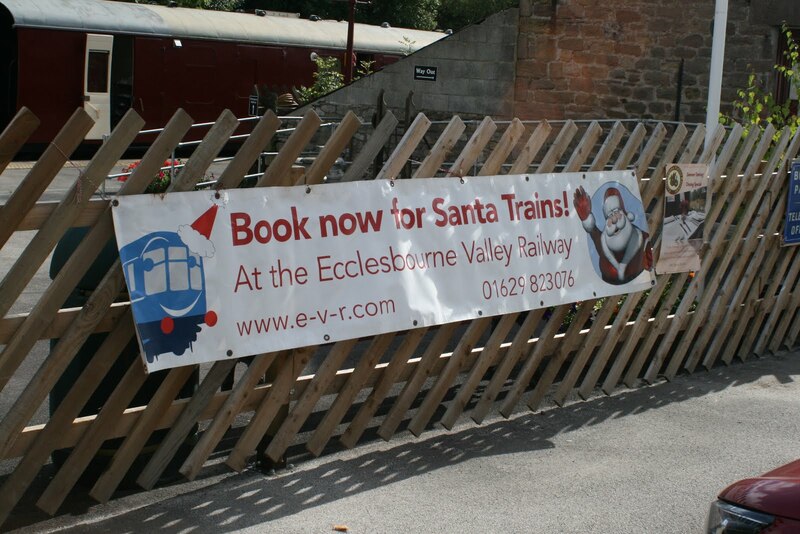 A wake was held at the Ecclesbourne Valley Railway with 2 special trains running, a DMU ran between Wirksworth and Shottle and a Steam Engine ran on the incline. A collection held raised £330, may I ask for suggestions of how this money would be best spent to commemorate John’s work at the railway. 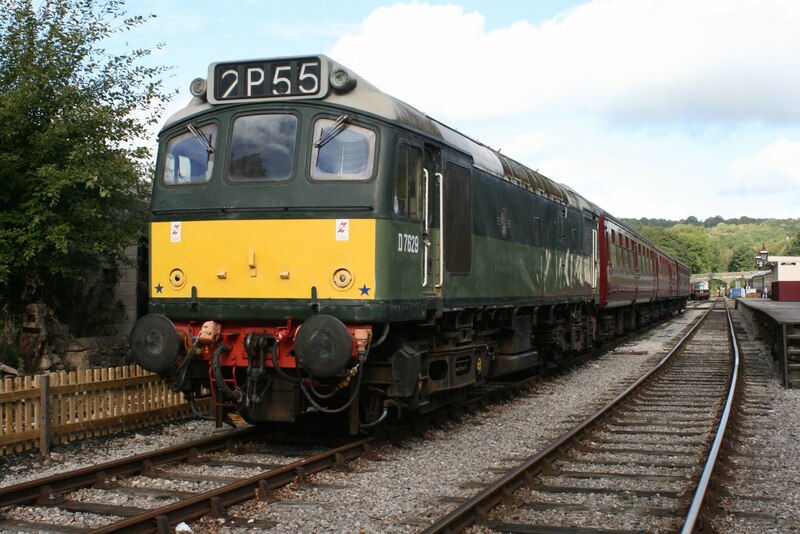 Registered Office: WyvernRail plc, Wirksworth Station, Station Road, Wirksworth, Derbyshire, DE4 4FB. This email is confidential and may also be privileged. If you are not the intended recipient please notify the sender immediately. You should not copy it or use it for any purpose nor disclose its contents to any other person. We accept no responsibility for damage resulting from this email or its attachments. Another successful day for our brunch/afternoon tea train which is the last of the year. Once again hauled by class 33 Swordfish. 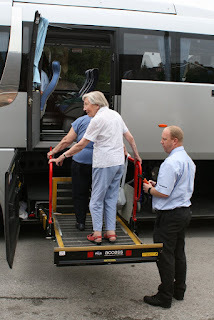 There was some activity at Wirksworth with Eric Boultbee leading a site visit to the station and yard tour following a presentation to the U3A (University of the third Age) at Wirksworth Fire Station. 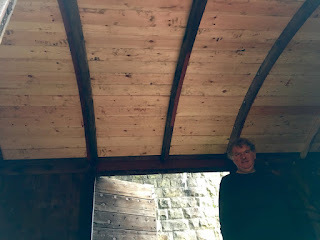 The team were present working on the BSK(K) and the varnished woodwork installed into the two southernmost compartments is a marvel to behold. The photo is of Duffield some 15 years ago! 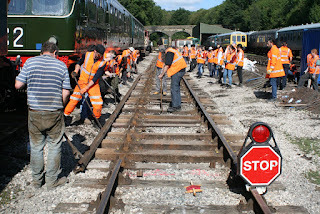 Another satisfactory day down at Derbyshire's favourite branch line saw a steady stream of visitors throughout the day. 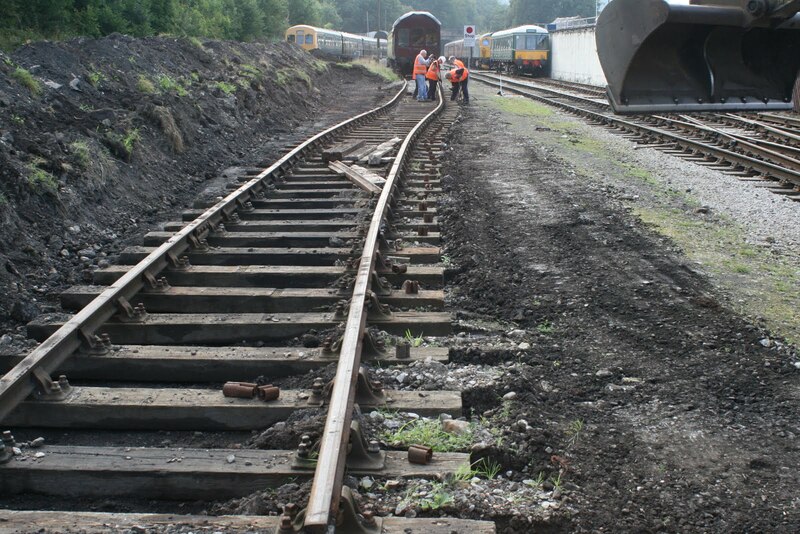 Down the yard the Quick Fix Fitters undertook a pretty complex shunt involving a number of wagons and coaches. A small number of the DMU team could be found working on an A exam and Dan was located preparing wood for varnishing in the BSK. My thanks to John Rhead who again found himself multi-tasking this weekend on the Duffield service. Unfortunately the two car set developed the same brake problem as last week but thanks to the quick fix fitters a replacement set consisting of the 108 and Royal 119 entered service with minimal impact upon the timetable before they speedily set about identifying and rectifying the problem. Some refresher driver training was undertaken with Breeze today. 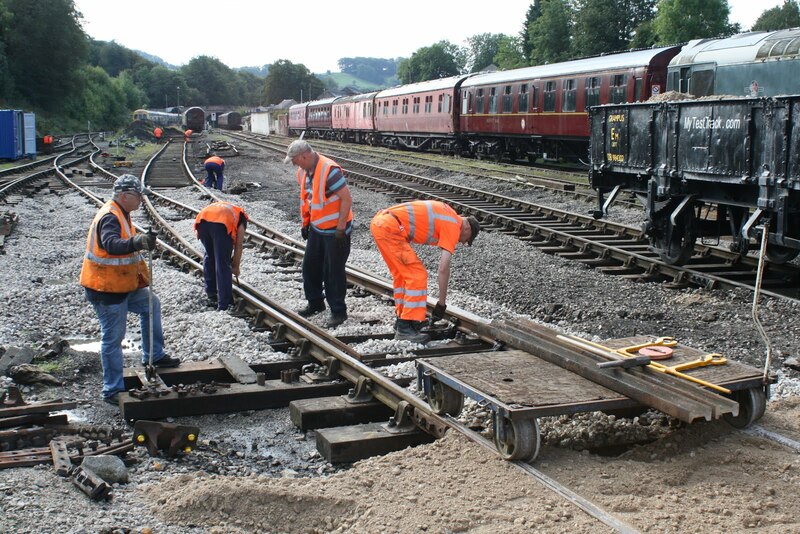 Mick & Tony completed some fettling of their new trackwork and Tony is shown with the "Bance" tending to a little fishplate greasing. The other photo shows it's all downhill now! Helen and Eric were busy preparing for tonight's dining train and work continued within the BSK(K). 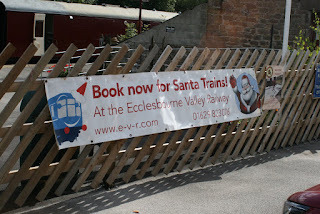 The Booking Hall was in action reporting a pleasing uptake of Santa bookings - all good for cash flow. Quite a busy day with the "Bubble Car" operating our services with the train crew ably supported by the Booking Halls at Duffield and Wirksworth, the Pullman Buffet and EVRA shop. 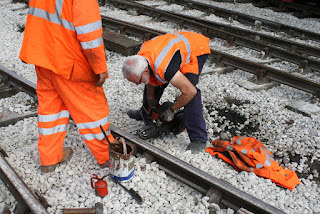 Network Rail's contractors were conducting bridge examinations working north of Hazelwood and a mytesttrack.com customer conducted a site inspection prior to commencement of activity next Tuesday. Roof repairs continued on the Conference Room block and the Permanent Way Team approached the end of their massive, for us, track relay and alignment. The photo shows the white gold that had been deposited to pack the new pointwork. 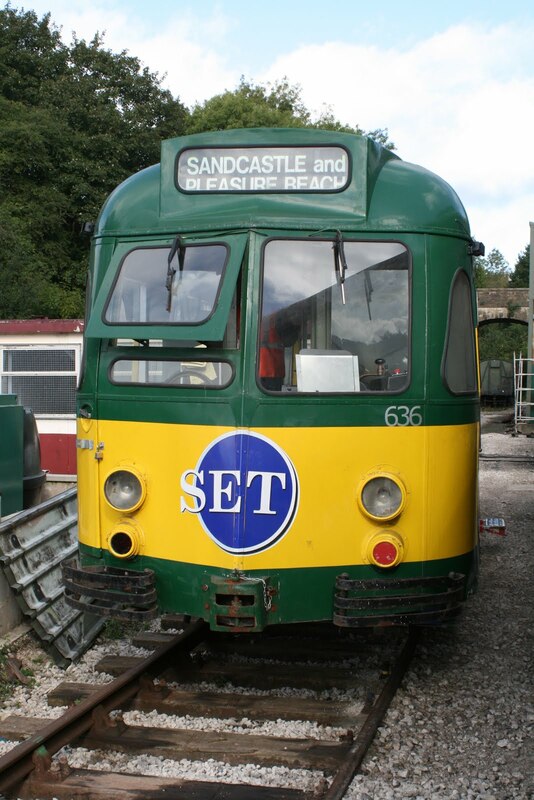 Derek and Dan continued with the BSK(K) refurbishment and our resident Blackpool tram was tended to by a boffin. The greatest accolade of the day must go to our catering team who were subject of an unannounced visit by the Food Hygiene Inspector. He acknowledged the great efforts that had been made to keep standards high and for the first time he inspected the kitchen within the BSK(K). Apart from insisting that the work surfaces in the Pullman Buffet be renewed this winter he was content!It is of great credit that the Company can rely on Eric and the team to deliver this most satisfactory result. Very well done! PS - the Wirksworth Station Car Park will provide some of the capacity needed for the funeral of Mia Aycliffe-Chung tomorrow afternoon. She was the young lady murdered in Australia whilst back packing and their is likely to be a significant turnout. 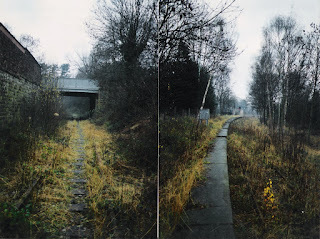 The main activity was the reconnection of "Road 3" at Wirksworth which will be a rather unusual alignment. The north part of the work lines the track where the planned steam locomotive ash and wash out pit will be located and the south part ensures that when we are ready to move the Pullmans to a new location they can be accessed. This is all part of the Grand Plan! Welcome roof repairs were carried out to the Conference Room complex which, apart from its more general use, is a vital part of the mytesttack.com offer. 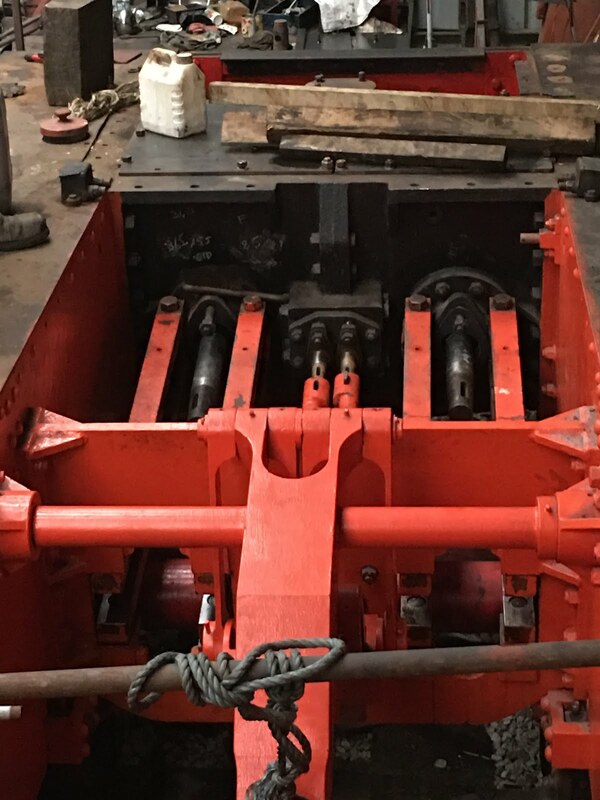 The dmu team loaded the components of the new Duffield counter into the "Bubble Car" for transport to Duffield tomorrow in addition to their many maintenance tasks. Derek and Dan continued with their refurbishment of the BSK(K), brake second corridor with kitchen, threatening to start replacing the seating in one compartment. Nathan manned the Wirksworth Booking Hall and when I was departing was engaged in a detailed discussion with a potential 2017 customer. Is their no end to the videos? No! I don't know how I pack it all in! Today's customer testing a newly developed track recording trolley that had a fair turn of speed! John's funeral will be at the Chesterfield Crematorium next Wednesday, 28th September 2016 at 1030hrs. After the funeral the family will be travelling to Wirksworth Station for a celebration of his life with all those who knew him. The plan is to use the Royal DMU for a run down the line at approx. 1200hrs to, probably, Shottle. The steam team will have one of their locomotives in Steam for journey's to Ravenstor for those he wish to remember John's contribution to the experiences. There will be refreshments in the Pullmans from approx. 1300hrs and all that is asked is that anyone participating sends an email to ticketoffice@e-v-r.com so that Nathan can co-ordinate numbers for the Catering team. Directions to the Crematorium are attached. When the raised garden on Platform 1 was removed together with the old Booking Hall our memorial sleeper for much loved late volunteers was displaced. The VCT completed its repositioning today and a fine job they have made of the task. The only other activity on site was Derek labouring away at the very comprehensive renovation of the four compartments and corridor in the Mark1 BSK. It will certainly be better than new when complete. Tow more videos for you. One of trains passing Heaton Chapel, located between Stockport and Manchester Piccadilly, and the other of Manchester Metrolink at St Peter's Square. We just want to send some photos along with our thanks for our brilliant trip on 29th August. Our young friends , Tyler and Logan shared with many people about the way they stopped the "runaway train"! As we get ever deeper into September we might expect the weather to be turning down the thermostat but as the pictures below will testify today have been one bathed in gloriously warm sunshine. 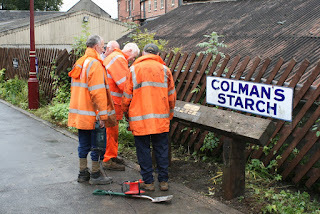 As I approached the station this morning a trail of bright orange could be seen developing through Wirksworth as our friends and colleagues from Birmingham University left their over night accommodation and made their way to continue their project turning rails in the upper yard. As they assembled in position to start work the dog walkers on cemetery lane bridge could be seen squinted in the orange glow. I can only also assume their hosts had treated them to a hearty breakfast of Derbyshire Oatcakes because, under the watchful eyes of Robin and Tim, by lunchtime they have placed, fixed and largely packed a 60' panel of rail completing their objectives for this years visit and returning possession of the line to operations. This is the fourth year we have hosted the staff and students from Birmingham and we look forward to our opportunity to contribute to their training and their contribution to the maintenance of our infrastructure in the future. Tim declared he was retiring home for a hot bath and a pint of old and violent...he looked like a needed it. Geoff was on site early this morning to facilitate the second of our car boot sale with June looking after the bric-a-brac, a modest turn out of vendors and purchasers took advantage of the fine weather to survey the chippendale wotnots and multitude of other delights on display. 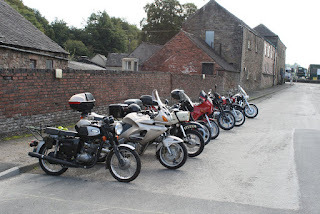 Being the third Sunday of the month our regular visitors from the MZ motorcycle group took advantage of the Pullman buffet (bacon cob with a dash of Eazystart on the side please) and the boot sale (pair of leather bike gloves as worn by Barry Shine, bargain at 12.50) and a picture of their fine mounts has been distributed by Martin previously. Ian and Peter ran the two booking halls with their usual quiet efficiency with myself and Ian turning baggage handler briefly as our University guests left for Birmingham and York on the 2pm service with there being a significant danger of all the luggage reaching the correct destination by close of business today. 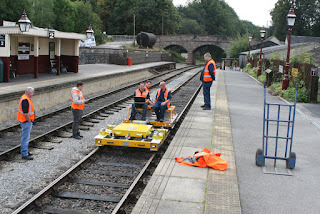 We commented on the large size of baggage the average student needs for a three day visit to the Derbyshire Dales as we staggered over the platform concluding that several 100 kilos of ballast would be a useful source of further research work back on campus! Iris (funny age) reported she was enjoying her last summer vacation at the Dean Forest railway taking a staring role in the their Railcar Gala but said she was looking forward to coming home and is the bunting still up? Julie hosted the model railway, the train crew operated a four service day with surprisingly good numbers reported and the catering team managed to provide meals for students, motorcyclists, public and staff alike. My thanks go to all staff involved for making the day so successful.. In those moments where we had chance to chat and reflect on the events of the past week our thoughts and conversation inevitably turned to the passing of John Evans which has left a significant gap at our railway. John filled many roles not least of which being a good friend and trusted advisor to our staff and supporters alike. For those who wish to make donation please speak to the Pullman buffet staff. 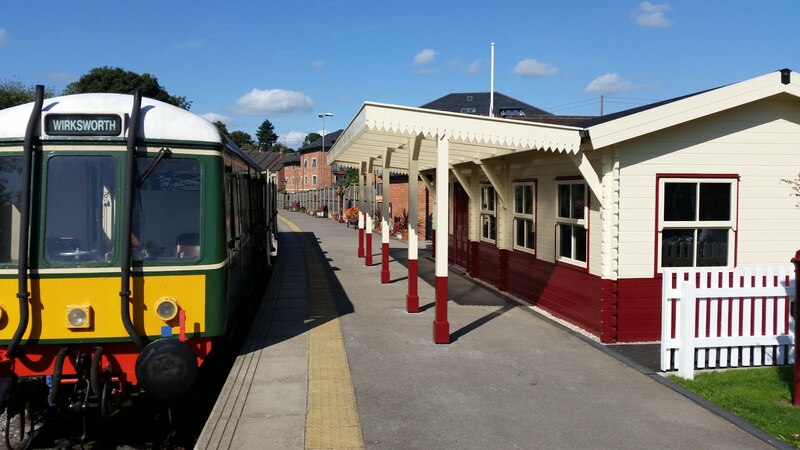 I leave you with a picture of the Bubble car and our new Duffield booking hall looking resplendent in the late summer sunshine and our friends from Birmingham university working hard on our infrastructure earlier today. 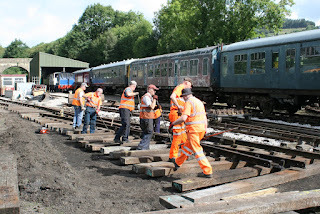 Under the expert guidence of Tim Oaks the Birmngham University students are learning the art of rail turning as the track is placed into the "new" sleepers they have previously prepared and positioned. The other photo is of the MZ Motorcycle Club's machines at one of their regular meets at the Railway. Two videos for you. One of the pleasant Mansfield Woodhouse station on the Robin Hood line and the other is a "low down" look at Manchester Metrolink following resumption of services through St Peter's Square. Another busy Saturday at Derbyshire's favourite branch line. The steam crew admirably coped with two, 2 hour footplate experiences which were thoroughly enjoyed by the participants. Our DMU crew were a man short today and grateful thanks to John Rhead who undertook the roles of train guard, crossing gate keeper and train ticket inspector. A great example to young and old of multi-tasking and dedication. Additional thanks to Dave Hurb who undertook third man duties for the last two Duffield trains. 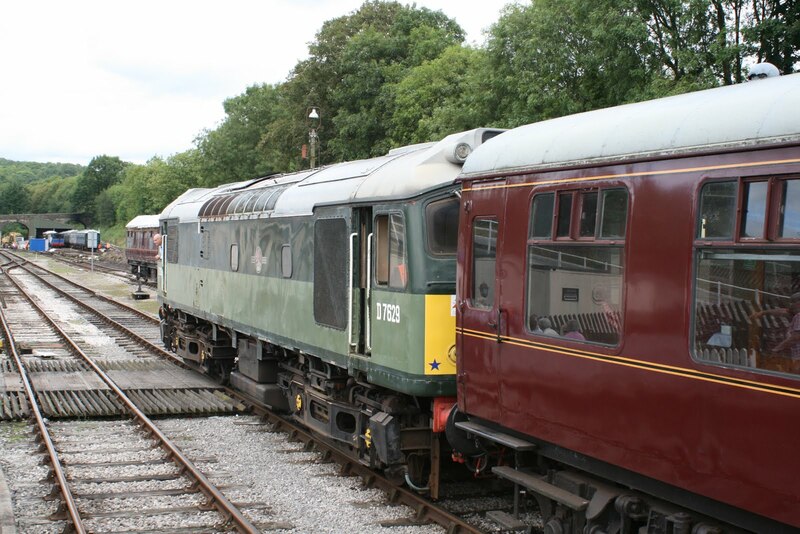 The two car DMU started misbehaving with a problematic brake calliper on the 13.12 Duffield to Wirksworth service but thanks to our duty quick fix fitters Jack and Jo we were able to substitute the units with the 'bubble' railcar without any adverse effects upon the timetable. 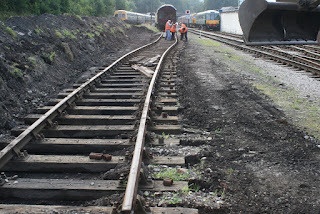 Down the yard some forty six students from Birmingham University commenced a track laying project. (picture attached) Grateful thanks to Tim Oakes for facilitating this exercise at short notice. The LMSCA were gainfully employed fitting window seals to the BSK . Supporting the train service today was the the model railway and EVRA shop with June looking after the Bric-a-brack sale in the training room. Eric and Helen Hills looked after our hungry students as well as passengers and Neil Ferguson-Lee could be found assisting with the evening catering arrangements for the students. It would be remiss of me not to mention the booking hall staff today who helped ensure our customers were greeted with a friendly face and informed what our wonderful railway has to offer. Finally Owen Evans popped into the buffet and created a memorial display in memory of his dad. (picture attached) There was an air of sadness today as we as a group of volunteers realised what a valuable contribution John gave to the railway on days like today. Both man and contribution that will be sorely missed. Another unusually warm and sunny day for September which saw our service well loaded with passengers, including a slightly surprise party. Not sure who was more surprised, us or them! Anyway, thanks to Eric and the Catering team who postponed a trip to the wholesalers to get supplies for this weekend's Birmingham University visit and dining train to put on 11 on-spec Afternoon Teas. Down the yard, the PW continued to bring the new turn out in to use including making sure the area is fit for the University students to work in this weekend, moving redundant materials around etc. 53599 which is in for routine examination had some underframe components cleaned and vehicles were shunted ready for the weekend's operation. It is great to see so many messages of condolence to Owen following John's surprise passing yesterday. Thank you to everybody who has pulled together to cover the duties that he would have been covering over the coming week. It is times like that that you realise how much one person does for the enterprise. He will be very sadly missed. 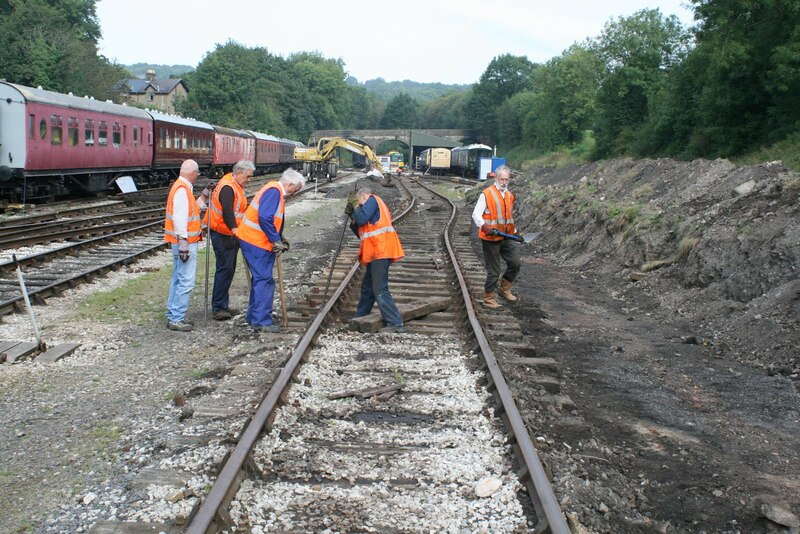 Down the yard the PWay team continued with the new point which will eventually lead to the steam shed. The sun was shining and people came to the Festival in their droves which quickly filled the car park. The trains weren't badly loaded either, boosted on the last train by a coach party too. 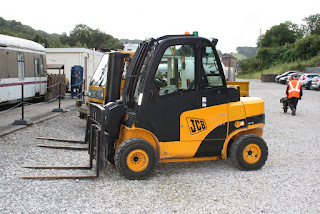 Down the yard, Iris was positioned for collection by road tomorrow and some more manoeuvring was done. Faraday had some paint applied in the important area too (these being sanded and bare bits). Day one of the Wirksworth Arts Festival got off to a wet start this morning with heavy showers. The two car DMU returned from Duffield though with a full train of happy festival goers who were determined to enjoy themselves despite the weather. On platform one our new apprentice Aubrey finished cleaning Iris's exterior in readiness for her departure on Monday. Down the yard the LMSCA were busy preparing new panels for the BSK and Oak's enterprises were working on both the Duke and the BR Box Van. Thanks must go today to June and David who undertook car park duties at Wirksworth station to ensure we maximised revenue. Today's service was supported by the EVRA shop and the Pullman Buffett. 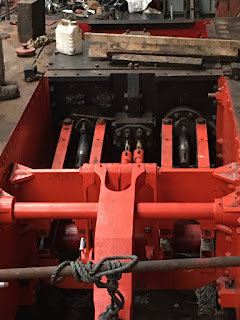 The attached photos show the Duke's restoration progress with the cylinder end cones on, new piston rings fitted and valve gear fully linked up. Incidentally, the boiler will be sent away next month for the necessary work prior to certification with a scheduled return before the end of April 2017. 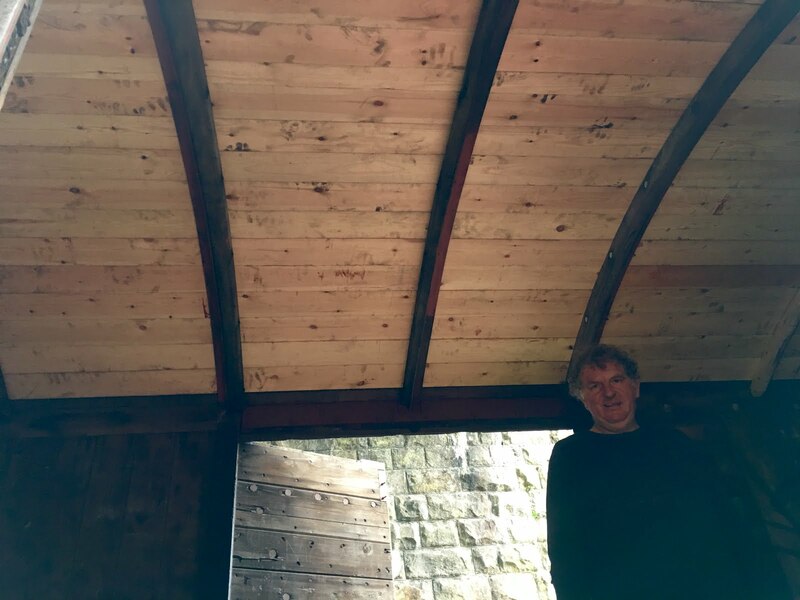 The other photo shows the newly completed roof of the Buxton BR Box Van. Another Friday, another Drive a Diesel Experience, ably hosted by Lewis and Richard. The Bubble went out in the morning, followed by the 33 this afternoon prior to it going out on the evening Soirée dining train tonight. The Apprentice filled up the coaching set with water before turning to Iris to ensure that our high standards of presentation are evident when the vehicle arrives at Parkend on Monday. The WyvernRail board meeting was held on the cafe floor of Wyvern Towers. Another lovely sunny day here which I suspect won't last! The train bobbled up and down happily with mostly holiday makers on board. 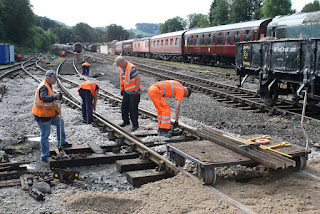 The Permanent Way gang have now got to the stage where the plain line part of the slip replacement project is now passable although more work has to be done. This has turned out to be a rather big task. The pre-departure examination on Iris was completed and a start made on cleaning the interior. The exterior is tomorrow's job. Another team set about replacing a broken stop solenoid arm on 50170 also. Faraday had more needle gunning and sanding work done on the roof. Derek was working in the BSK to get the compartments back together but I suspect it was rather too warm. Fairly sedate day now Wednesdays have stopped running for the season. Derek and Dan continued reconstructing the compartments in BSK 34625 and some of the A exam on Iris was undertaken. Faraday had some of the old paint on the roof needle gunned off too. 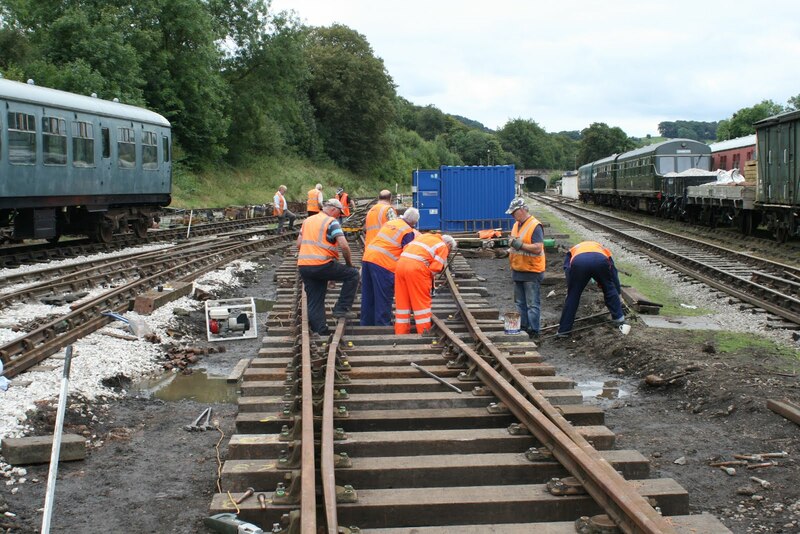 The PW team tripped down the line to sort out some full wagons at Shottle and also remove the redundant van from Duffield. 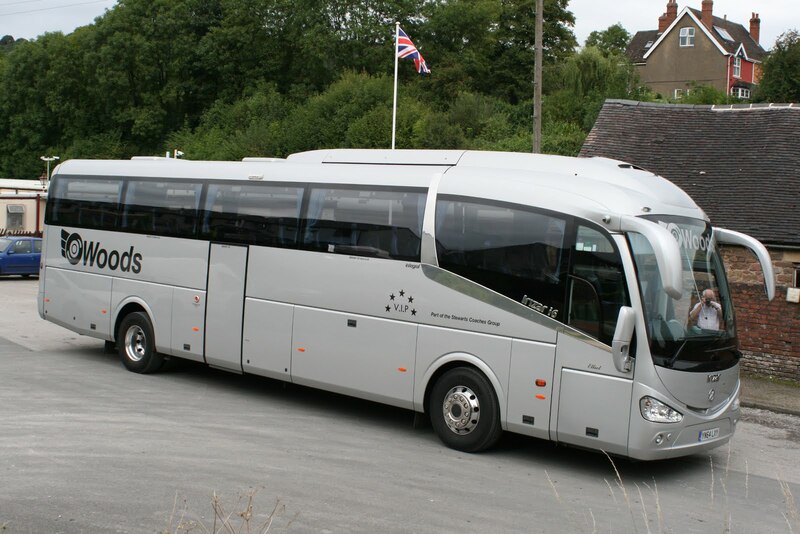 Not being a coach enthusiast I couldn't not be impressed by the vehicle that delivered and collected our customers today. The treatment of the less able has come forward in leaps and bounds. I enjoyed a trip on the miniature railway and managed to fold sufficiently to ride a carriage hauled by a class 31. So today's video is a branch line tour followed by Type 2 haulage of the Afternoon Tea train which, as you will see is very well supported. The photos show the Sulzer Type 2 and the continued efforts of the Permanent Way Team as the remodel the north end of the Yard. Not a good start to the day weather-wise but it did brighten up as the day went on. The service bobbled up and down happily and some people went on the steam to Ravenstor too. Down the yard, Iris had a leaky engine sump plate resealed as the date of departure for her starring role at the Dean Forest Railway looms. Barry, the Bubble, had some more welding done on the cab area whilst the fibreglass dome is away for repair. Yesterday the 'bubble', fresh back after it's vacuum cylinder change, handled the services in what turned out to the quietest day of the week. Perhaps everyone was spent up after the Bank Holiday! The PW team have spent the last two days constructing the new turn out which replaces the double slip which they have removed. It is starting to look much better already but will probably be a few more days yet before traffic can travel over it. 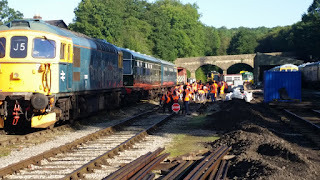 Yesterday the DMU team fixed an issue with an engine on 51188 where it was idling too low meaning it cut out far too readily and also repaired the fan drive on 51505 so both cars are back to full health. Today, the apprentice topped the coolant levels up and cleaned out the interior of the 3-car ready for tomorrow evenings Tunes and Chips, which is fully booked. This is after, of course, he watered the dining set for this evenings Soirée. Today we hosted a Bronze Drive a Diesel experience which was enjoyed by all. This doubled up as a tour for the new MD of our friends at East Midlands Trains who enjoyed a luncheon in the Pullman at Wirksworth. We have some space on a Drive a Diesel experience next Friday which has been discounted online at www.e-v-r.com/experiences if anyone fancies a cheeky drive! 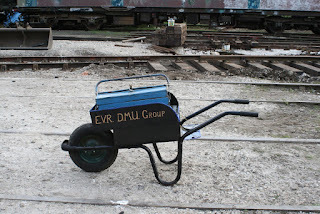 Joe Marsden has created a fuel efficient vehicle for moving the dmu team's heavy tool box around the site. Also shown is the new super fork lift that will also be able to coal up visiting steam locomotives. It was provided through EVRA funds from the legacy. 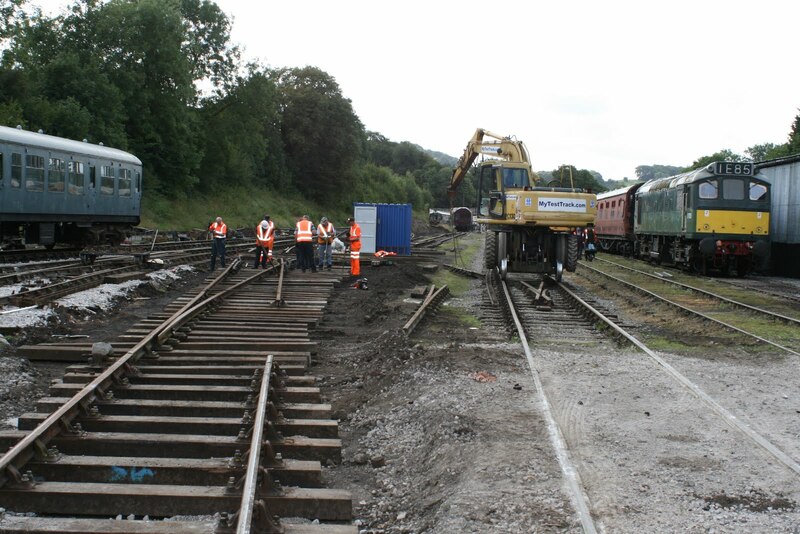 The changing scene at the north end of Wirksworth Yard showing the work going on to provide a connection to the proposed new steam locomotive depot. Owing to an operator error, me, I have had to reload a few videos so bare with me if this has been posted before!